Looking for a hotel near San Jose McEnergy Convention Center? 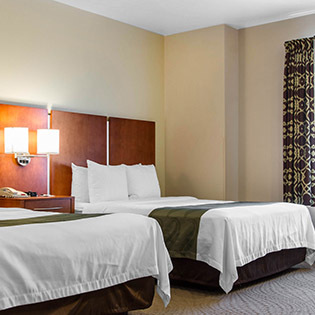 Come stay with us at Quality Inn, San Jose, just minutes away from the convention center. San Jose McEnery Convention Center - Framed by a 125-foot abstract tile mural, the San Jose McEnery Convention Center encompasses over 425,000 square feet of function space. 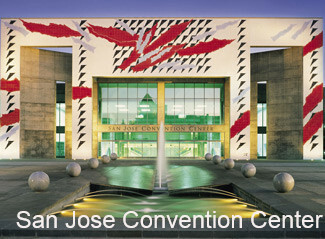 In addition to Conventions in San Jose, CA, the San Jose McEnery Convention Center hosts other events, presentations, shows, and dances. Across the Street, the San Jose Civic Auditorium is a Spanish Mission style dual-level auditorium that hosts performing arts, general assembly, community and sporting events.